In a new report by the Trust for America’s Health and the Robert Wood Johnson Foundation, Georgia is ranked number 18 in adult obesity rates. Obesity is defined as the state of being well above one’s normal weight. A person is considered obese if they are 30 pounds above the weight they should be. Georgia is now one of 20 states that have obesity rates over 30 percent, while the rest of the states have obesity rates that are all above 20 percent. Georgia’s obesity rate is approximately 30.3 percent, while Mississippi and West Virginia tied for having the highest adult obesity rate in the United States at 35.1 percent. Colorado has the lowest rate at 21.3 percent. According to 11Alive News, nine out of the top ten states that have the highest obesity rates are located in the south, excluding Georgia since Georgia is number 18 out of 50. According to Trust for America’s Health, adult obesity rates have doubled since 1980, from 15 to 30 percent, while child obesity rates have more than tripled. They stated that children can become obese as early as age 2 to 5. 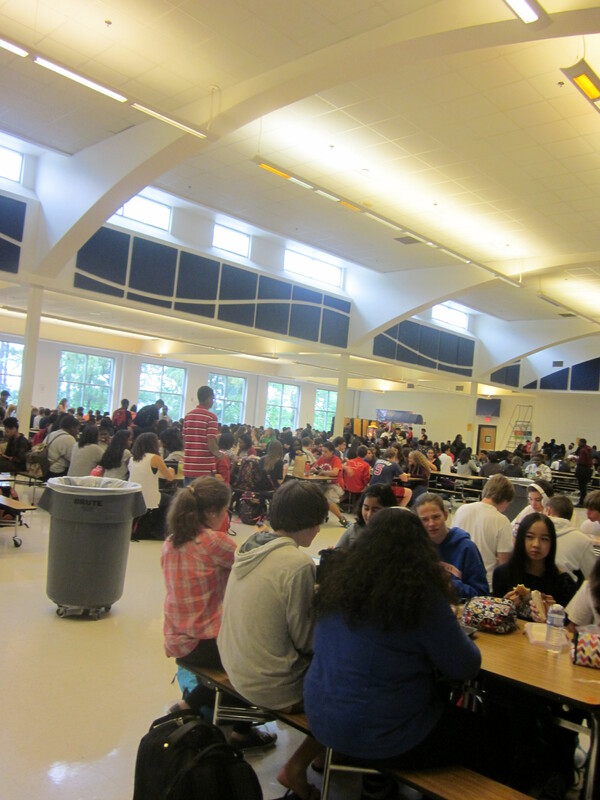 Unfortunately for these high rates, students at North Springs were not happy with the cafeteria change, especially seeing the a la carte line disappear. Other students felt that this was the right move, as their families are also starting to make healthier choices. “My family goes to Sprouts, the farmers market, and we are buying natural foods. We are also cutting soda out of our diet, and we are having vegetables for dinner more often,” said sophomore Justin Reid.